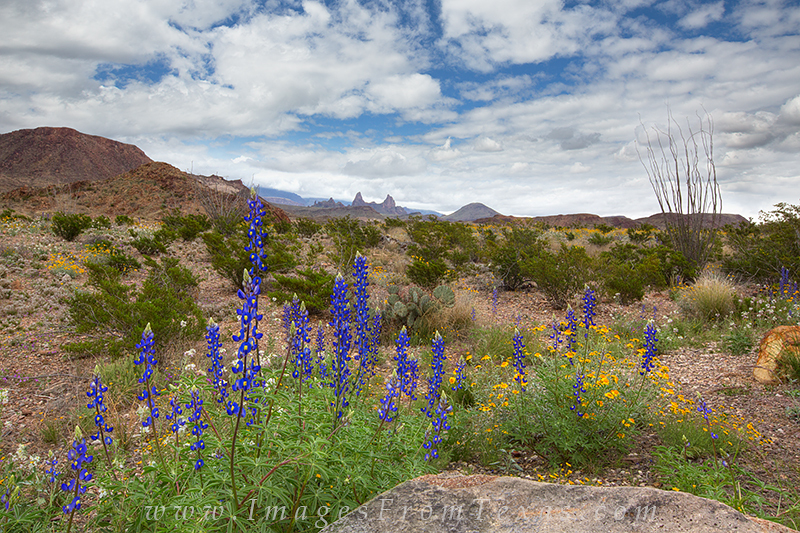 With the Mule Ears in the distance, bluebonnets and other wildflowers enjoy a March afternoon in Big Bend National Park. This Texas landscape image was taken facing east towards the Chisos Mountain range. Photo © copyright by Rob Greebon.